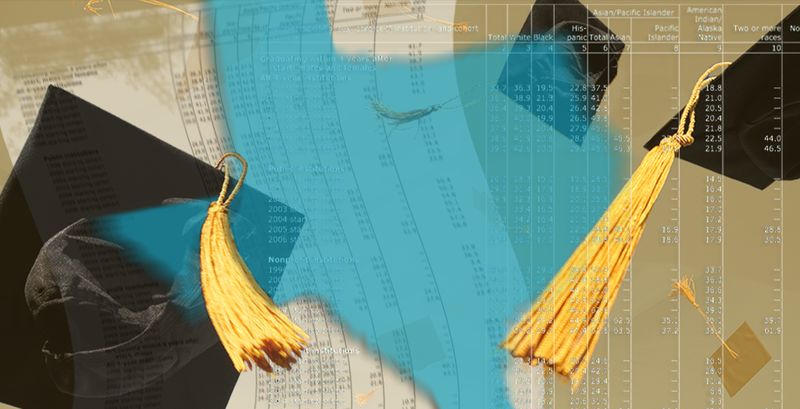 Can big data lead to transparency in higher ed? It is encouraging to see higher education became a priority as we move into the 2015 legislative session. The 2011 funding cuts were perplexing. After all, 2010 was a very good year for Higher Education in Texas. Against the backdrop of diversification of the state’s economy requiring a more post-secondary educated workforce, enrollments in higher education institutions were up. In particular, Texas saw the state’s highest enrollment of Hispanics ever. Significant progress and success at last. However, the story of success was tarnished as enrollment rates rose but graduation rates declined. Indeed, as data showed, students were entering higher education, but many were leaving without a degree and, in too many instances, with significant debt. With students enrolling but not graduating at the same rate, confidence to fund higher education became tentative. Institutions of higher education were challenged to increase graduation rates, increase quality and reduce costs. Transparency and accountability became the focus of legislators and the public. The Texas A&M University System is addressing these challenges with a sense of urgency. With 11 universities located across Texas, we recognize the opportunity to lead the state in transparency and accountability. Leaders from across our system came together with vigor to identify key metrics to increase student success and cost effectiveness. This collective effort led to EmpowerU, an enhanced accountability and transparency system that holds our universities accountable for measuring results, quality and overall cost efficiency as they work to perform at the highest level against their unique missions to deliver excellence. The EmpowerU analytics dataset is populated with key metrics measuring results for all institutions in our system. Measurements span from student success to financial indicators. As an example, EmpowerU identifies and tracks meaningful metrics so leadership can leverage this data to ensure that graduation rates improve. The Chancellor then uses these data sets as an input to his evaluation of the Presidents of our campuses. To address quality, EmpowerU includes learning outcome measures to determine our effectiveness at preparing students to be successful after graduation. Identified by employers, learning outcomes include such skills as critical thinking and communication in addition to specific knowledge in their field. Our team of system educators and administrators worked to define six key learning outcomes uniformly across the system. The goal is to measure and track progress against each learning outcome, whether it is at a Tier One research institution, such as Texas A&M University, or a regional university, such as Texas A&M International. This data, measured over the educational cycle of a student, will be reported and analyzed. This allows each institution to become fully accountable for delivering a productive citizen to our economy who will benefit our state and our nation. 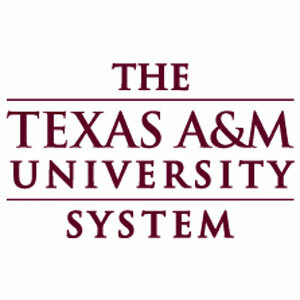 The Texas A&M University System recognizes students begin their preparation for higher education in grades PreK-12. Since we are the state’s largest producer of PreK-12 teachers, it is essential that we build on our foundation in graduating talented, effective educators. Our focus on educator preparation, dubbed “LearningU”, responds to this imperative by bringing together our 10 Colleges of Education as they prepare our PreK-12 teachers and administrative leaders for the challenges of today and tomorrow. Informed by our partners in public education, our models for educator development will adjust according to the rapidly changing classroom environment while maintaining a solid academic foundation; our institutions are partnering across the system to develop the research that will provide a better understanding of cognitive development and student achievements; and we are instructing our teachers to use technology as an extension of their curriculum. The most cost-effective strategy is a student prepared for the rigors of higher education. Through developing and supporting great educators, we are taking responsibility for our part to ready students for these challenges and as a result, reducing the cost to students and the state. Our ultimate transparency is best exemplified through the 24/7 access to all of the data from all of our universities in these areas as soon as it becomes available at EmpowerU.tamus.edu. We also continue to examine other areas affecting student success and cost efficiencies. Experts representing each institution from around the system are together examining such areas as advising and student affairs. Student success metrics continue to be reviewed to ensure we are looking at the most pertinent data possible. We must get this right and earn the trust of our constituencies because the stakes are high. There is nothing more fundamental to the long-term success of a person or state than education. It is imperative that we, the higher education institutions of our state, empower our students with the ability to transform lives and energize our economies. At the Texas A&M University System, we are unwavering in our quest to deliver on the promise education holds for all.